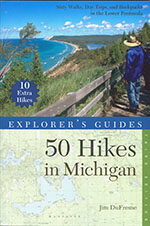 Backpacking in Michigan is an indispensable guide to the state’s hiking trails, providing beginners to advanced hikers all the information they need to plan their next overnight or weekend backpacking trip in Michigan. 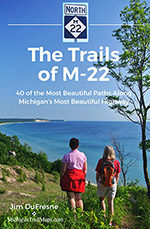 The 348-page guidebook features 65 photographs and 77 detailed maps that cover 50 trails ranging from one-hour to multiple-day treks in both the Upper and Lower Peninsulas. 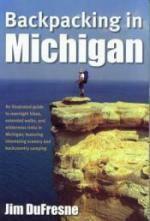 In addition to backcountry explorations of remote trails, author Jim DuFresne includes classic Michigan adventures such as the Lakeshore Trail in Pictured Rocks National Lakeshore, the Greenstone Ridge Trail in Isle Royale National Park, North Manitou Island in Sleeping Bear Dunes National Lakeshore, and Jordan River Pathway in the Mackinaw State Forest. 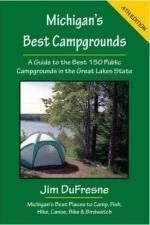 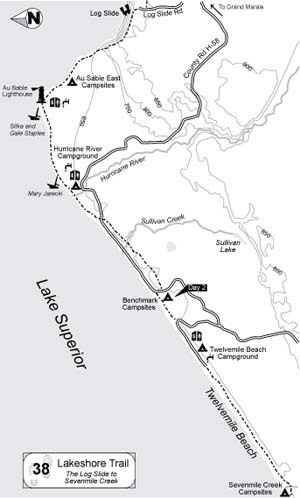 Information on hike length and difficulty, elevation gain, the amount of time needed to complete the hike, camping facilities, and nearby towns accompanies each of the trail description.